Spatial Regulation in New York City: From Urban Renewal to Zero Tolerance (New York: Routledge, 2011). This book demonstrates how spatial regulation became one of the most important ways to reverse the decline of New York City in the post–World War II period. As New York began to lose its status as a leading global city, the perception of urban disorder, whether that disorder was physical (e.g., slums, shabby streets, crumbling infrastructure) or social (e.g., homeless people, hustlers, rowdy teenagers), represented a threat to the middle class and investors and thus to the financial and political viability of the city government. Consequently, mayors and other elected and nonelected leaders mounted initiatives such as urban renewal, exclusionary zoning, antivagrancy laws, and order-maintenance policing to control, if not erase, disorder. 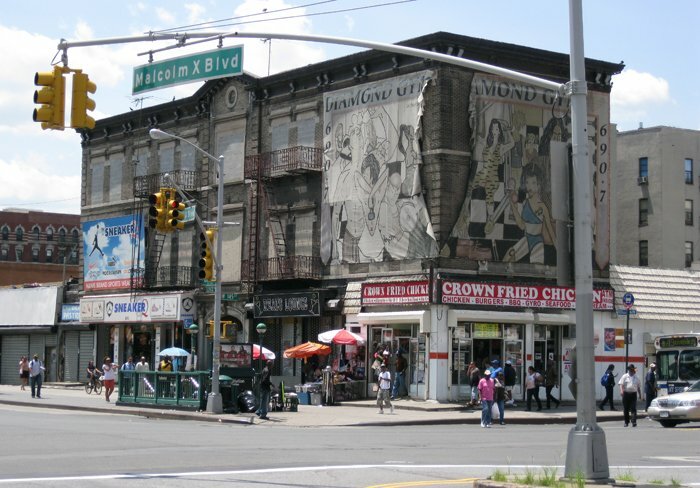 These initiatives were part of a class project that deflected attention from the underlying causes of poverty, eroded civil rights, and sought to enable real estate investment, high-end consumption, mainstream tourism, and corporate success. The various strategies of spatial ordering that were employed corresponded to shifts in political ideology. Liberals who dominated New York City politics between the 1940s and the early 1970s emphasized physical solutions against disorder such as urban renewal and the elimination of slums. However, as urban renewal became discredited and crime increased dramatically, neoconservatives denounced postwar liberalism as the source of the city's decline. After the fiscal crisis of 1975, brands of neoliberalism and neoconservatism merged and articulated a new vision of spatial regulation based on aggressive policing. Instead of redeveloping low-income African American and Latino neighborhoods, the authorities targeted people who committed minor infractions in public space. By the 1990s, these efforts to regulate urban space were promoted under the banners of "broken windows" and "zero-tolerance policing." This book was awarded the 2012 Arthur Miller Centre First Book Prize for the best first book in American Studies from the British Association for American Studies. This chapter familiarizes readers with the way that urban renewal was employed as an urban disorder eradication strategy in the Upper West Side of Manhattan during the 1950s. Upper West Side institutions, in concert with government officials, urban planners, developers, and affluent residents, developed a discourse of urban disorder to describe the presence of low income nonwhite populations in sections of the area. They argued that the elimination of the housing of these disorderly populations would translate into their displacement from the area, making room for the return of middle- and upper-class respectability. Numerous urban renewal projects that encompassed large sections of the Upper West Side attempted to do exactly that: eliminate urban disorder and the people responsible for it by destroying their neighborhoods and replacing them with residences and cultural infrastructures for white middle- and upper-class people. This implementation of urban renewal projects in New York City strayed away from the original liberal assumptions of the process. This chapter moves the story forward to the 1960s and shows how urban renewal failed to eradicate urban disorder. The displacement of targeted "disorderly" people from certain neighborhoods did not solve what was perceived to be a city-wide problem. The construction of identical cruciform towers surrounded by gardens did not structure the behavior of low-income people and did not make them conform to middle-class standards. Jane Jacobs, Ellen Lurie, and other architects, activists, urban planners, and ordinary citizens, criticized Le Corbusier's theories of urban design and city rebuilding, which influenced urban renewal. Administrators of Columbia University and other Morningside Heights institutions, located at the northern tip of the Upper West Side, discovered that urban renewal and other physical solutions did not even address what they considered to be social disorder. By the late 1960s, the failure of urban renewal was staggering and the way of ordering cities shifted from the physical to the social arena. This chapter explores strategies used to eradicate urban disorder in areas where urban renewal was not possible. In the postwar period, efforts to tame urban disorder in high profile commercial spaces such as Times Square intensified. This occurred because urban renewal was considered to be too expensive and unsuitable for Times Square. Spatial regulation in Times Square increased once African Americans and Latinos began to replace whites as visitors. Some of the strategies employed in order to remove "disorderly" populations from Times Square included exclusionary zoning, which sought to eliminate certain types of businesses that "undesirables" frequented, the revision and expansion of anti-loitering legislation, and aggressive policing that targeted the people considered to be "undesirables" themselves. Gradually, strategies used in Times Square to fight urban disorder were expanded and applied in other areas of the city. This chapter delineates the political philosophies of neoliberalism and neoconservatism and shows how elements of these two persuasions began to affect the political and economic landscapes of New York. In the aftermath of the 1975 fiscal crisis, the city government embraced neoliberalism and heavily subsidized the corporate and real estate sectors because of their potential as engines of economic growth. However, neoliberal reforms aggravated existing social problems including a staggering increase in the number of homeless people who overtook high profile public spaces. At that point, the city government adopted neoconservative recommendations of spatial regulation such as order-maintenance policing, which was the application of the broken windows theory, targeting people who were viewed as the source of social disorder. 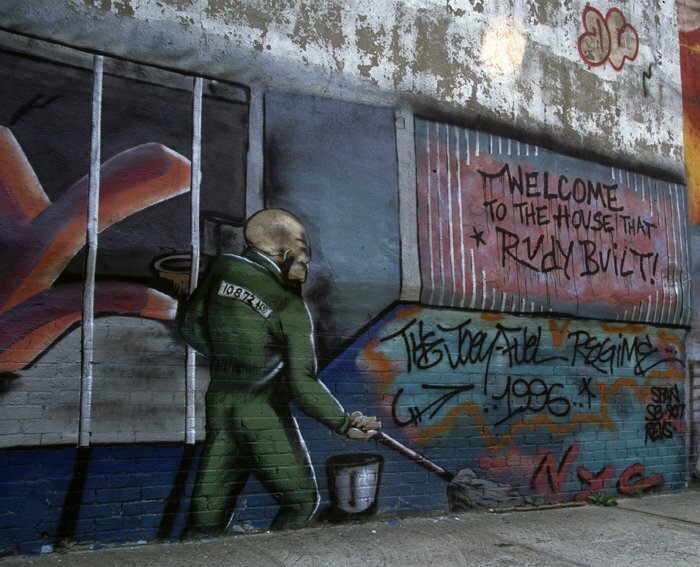 This chapter shows how graffiti writing began to dominate many public spaces in New York City during the 1970s and the extent to which holders of power resented this cultural spatial takeover. Neoconservatives viewed hip hop as the cultural manifestation of a criminal underclass. Neoliberals who worked to distance the image of New York from the fiscal crisis and urban decline, and to accentuate the city as a desirable location to do business, shop, and see sights, did not want New York to be known as the capital of hip hop culture. This chapter focuses on the decline of urban order in the period after the fiscal crisis, when the number of homeless people increased, the crack epidemic devastated the populations of many neighborhoods, and the incidence of crime rose. Mayor Ed Koch (1978-1989) presided over a pro-growth business coalition that attracted working- and middle-class white ethnics to his pro-business and anti-minority rhetoric. However, his efforts to tackle crime and disorder failed. In the early 1990s, the David Dinkins Administration (1990-1993) overwhelmed by a further increase in crime, reacted by substantially enlarging the police forces. The city administration devised a strategy of community policing, which included both crime-fighting and crime-prevention components. Crime rates declined, though David Dinkins lost the 1993 mayoral election to Rudolph Giuliani because many New Yorkers still considered the city to be a crime-infested disorderly place. This chapter explores the maturity of social solutions in fighting urban disorder in New York City under the Giuliani Administration (1994-2001), which engaged in comprehensive spatial regulation. During this period, the city government began to go after minor offenses and any people who made public spaces appear disorderly with a vengeance, arguing that serious criminals also committed minor violations. As the police tightened their grip over space, they increasingly violated the human rights of aggressively targeted people who committed minor infractions or otherwise appeared disorderly. Despite severe criticism, the city administration refused to change its procedures to maintain order, arguing that the recovery of the city depended on them. During Mayor Giuliani's second term, the city administration began to also routinely violate the rights of free speech and assembly of protesters, under the explanation that public demonstrations were inherently disorderly, and that they interfered with the orderly image of the city that the public and the private sectors had attempted to construct. In the end, even the business sector and its neoliberal efforts to make the operation of high profile commercial districts more private were not spared; the city government turned against Business Improvement Districts because they were taking too much credit for sanitation and security improvements and because they were directly competing with the city administration and its vision. Most of these actions of spatial regulation represented the natural evolution of a city administration that believed in the strength of government and attempted to use it. It also signaled the movement of the Giuliani Administration from neoliberalism to neoconservatism.